This books aims to make mathematics accessible to non-experts and the lay reader. Providing an entertaining overview of the subject, the text includes several fascinating mathematical conundrums. 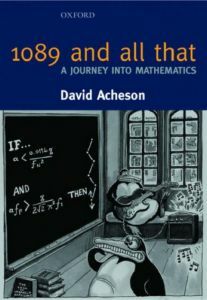 The author's writing ability is second to none and Acheson provides a clear, unpatronising explanation of mathematics. The book contains several cartoons, sketches and photos making it entertaining and compulsive reading.